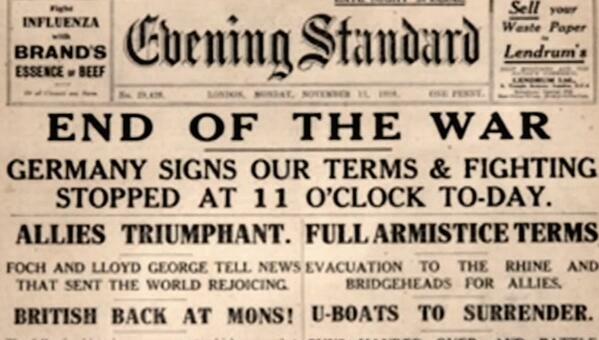 At 5 am on November 11, 1918, the Germans signed the Armistice ending the most bloody conflict in history at that time. The commander-in-chief of the Allied forces, Ferdinand Foch, decided it should come into effect at the eleventh hour of that day, the eleventh day of the eleventh month. Although senior command had been made aware of this by 6 am and had known it was coming for two days, for a number of reasons, many of them decided to continue fighting. In the six hours between 5 and 11 am, on November 11, 1918, there were 10,944 casualties including 2,738 deaths. The last death on the battlefield before the Armistice took effect was at 10:59am. Commenting on this Blog entry will be automatically closed on January 10, 2019.